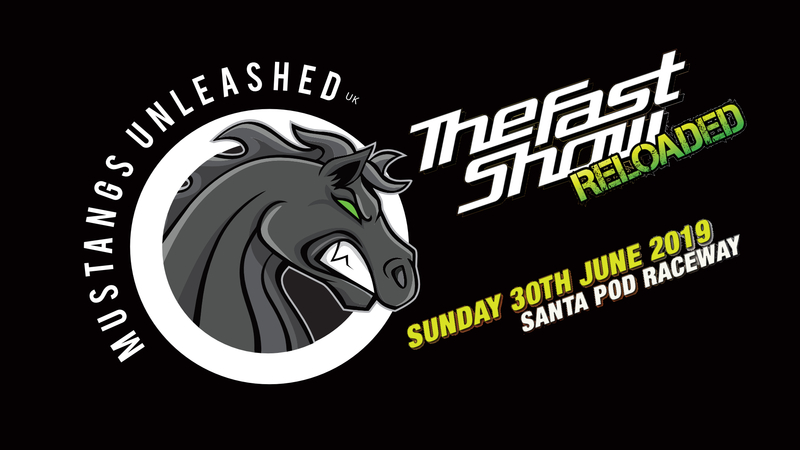 MUSTANGS UNLEASHED has a confirmed stand at The Fast Show Reloaded. Tickets for this event are £22 each as unfortunately, we missed out on the early bird offer. Being in June hopefully, the weather should be good. We have a confirmed stand on the tarmac @ THE FAST SHOW RELOADED @ Santa Pod on Sunday 30th June 2019 to attend this event as part of the Club tickets need to be booked and paid through Mustangs Unleashed and not on the event website. For us to be able to secure the stand we need a minimum of 10 Mustangs and they will not reserve us the spot until the club has made the bulk payment of a minimum of 10, currently, there is no limit but as more clubs book this event, space will start running out. Please note that tarmac space will run out very fast the earlier we submit our booking the better the stand spot will be. Please see the event map in the event post to have an idea of the layout. We are aiming for the Red or Orange Zone!